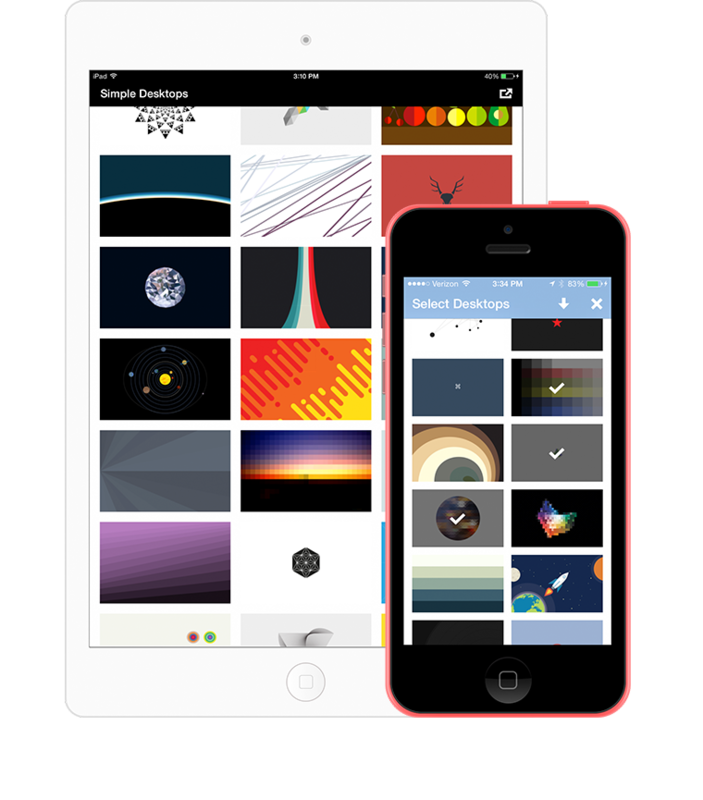 Get the desktop wallpapers you know and love on your iPhone or iPad fast. Simple Desktops for iOS lets you browse, select and save multiple desktop wallpapers to your camera roll in a specialized Simple Desktops album. No more awkwardly saving images to your computer and then syncing them to your iPhone or iPad. Use this app to simplify your wallpaper management. Stop hunting for simple wallpapers all over the internet. Just get this app and move on. Grab it today from the App Store. App development by Cody Kimberling and Kyle Turner. Django development and server monkeying by Greg Aker. Product Design by Tom Watson.